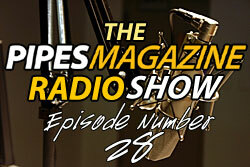 Welcome to The Pipes Magazine Radio Show starring Brian Levine. We are the only online radio talk / entertainment show that is targeted to pipe smokers and collectors. We want to thank you for listening and for being one of our loyal 15,000 listeners. Tonight, Brian will offer several various pipe smoking tips making sure to mention a few new pointers that he hasn’t previously discussed. Our featured guest on the show is pipe maker Lee Von Erck. Lee has been making pipes for over 30-years. His pipes are fantastic works of art, and he is a super nice guy as well. Brian will ask him about one of the most closely guarded secrets of pipe makers—oil curing. This is also a special show where we will be auctioning off the pipe Brian is smoking during the show. It’s a fund raiser for his daughter Samantha and her JDRF Walk to Cure Diabetes Team. Tonight’s show is sponsored by SmokingPipes.com, Missouri Meerschaum, and 4noggins.com, Please give them some consideration when making your next pipe or tobacco purchase. We hope you enjoy our 45-minute show produced just for you—the pipe smoker and collector. The following link will launch a pop-up player. Alternatively, you can download the show in iTunes after the initial broadcast is complete here. Below is a beautiful pipe you can bid on while at the same time helping us raise funds for the Juvenile Diabetes Research Foundation. Brian’s daughter Samantha has juvenile diabetes and she is participating in a walk team to raise donations. Brigham Chinook 426 Sandblast. Acrylic Handcut Stem. Smoked 4-5 times, Cleaned. Retail Value $110. Length: Approx. 6 inches. Bowl Height: Approx 1.5 inches. Same pipe that is in the poster. Poster included with the pipe. 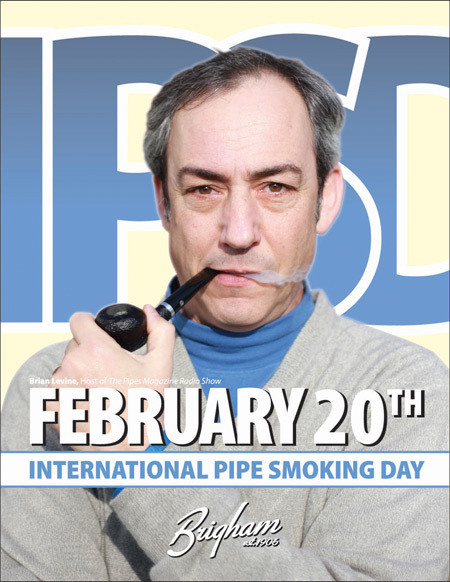 The Brigham pipe being auctioned for the JDRF fundraiser was featured in this poster with Brian for International Pipe Smoking Day. Good ideas on Pipe Parts. 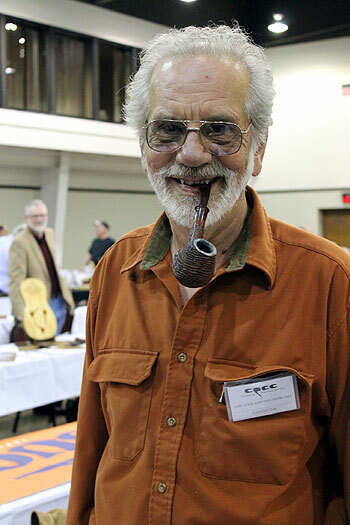 Lee Erck - great pipe carver. I have his pipes in my collection and they always smoke great.I’ve know Lee for a LONG and he is a great friend. To oil cure or not, the eternal question? We both love McC #5100 - Told you Lee has good taste. Your great musical selection now clears that stupid PA groundhog that got his weather forecast wrong! In the future you may want to use “Anji” by Davey Graham as a selection - one of the best pieces of guitar music. Sacrilege! How can you take those carefully created flake planks and rub them out! They’re painstakingly crafted for cube cutting for maximum enjoyment of the blend. If you tap load it right, you never need to tamp it. *sigh* to each his own just messing with ya Brian. Delayed Gratification Pipe is a great thing everyone should try. It takes a little time to put some pipes together the night before and improve/change the flavor of the tobacco. Some people leave them for days. I’ve found Perique blends have a unique flavor change. After WWII as part of the reconstruction, every Japanese school taught reading and writing in English, with most learning to speak from watching movies. But working with a Japanese company for 4 years they will hide the fact they can speak it. I found in business this was to have the time to think about their response, and talk between themselves. This was during the 80’s and I also found it true in all pre-war Japanese businessmen. Sneaky, but I had an inside friend giving me the nod on things. A great show with the usual pipe maker keeping their secrets, keep working on them Brian. Best thoughts for your daughter, diabetes is tough and I believe that research will find a cure. Lee Von Erck is one of the most interesting people in the hobby. Those of you who would like to hear more about Lee might go to Oompaul.com and listen to Olie’s interview with Lee. It was done about 4-and-a-half years ago. Lee will take his oil curing process to the grave. I really hope to acquire one of his pipes someday. I put my bid in on the pipe to support JDRF. I have a bound copy of The Pipe Smokers Ephemeris, Volume One, Copy 124 of 300, of course signed by Tom Dunn, which I would like to donate for you to auction on BriarBid, proceeds to go to JDRF. Please let me know if you’d like me to mail it direct to you, or hold to be mailed to the winning bidder. Thanks for being so generous 4dotsasieni. I sent you an email. Thank you for another wonderful show as usual. I am touched by the cooperative action your show is undertaking to raise money to combat juvenile diabetes. Today I was notified that my son’s best friend was killed in a car accident yesterday as he travel back to college in South Dakota. Graham, who did many things with my son Sean including earning his Eagle Scout rank in the sam Troop and sharing their Court of Honor, suffered from Juvenile Diabetes. While the police are still investigating his accident they believe it may have been related to fatigue brought on by his disease while he drove cross country. 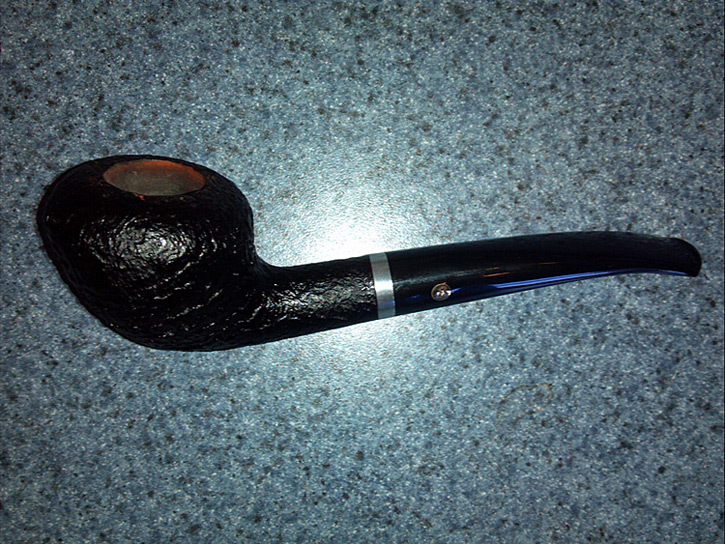 My nicest pipe is my Savinelli Autograph that I would like to offer to this cause in his memory as well. Just let me know how I go about doing it and it is yours….